Global Support Services, the UK-based provider of specialist security services, has been announced as a constituent member of the inaugural Financial Times Top 1000 list of the fastest-growing companies in Europe. The company was ranked at position 386 overall, making it the 70th fastest-growing company in the UK across all categories during the period and the 40th fastest-growing ‘support services’ company in Europe. The company’s position in the table makes it the fastest-growing provider of physical security services in Europe for the period. Global Support Services is accredited to Investors in People Gold standard and was one of the first 100 businesses in the UK to be awarded ‘Living Wage Champion’ status. The business’ growth has been stimulated because of an unwavering dedication to its vision which includes being recognised as the ’employer of choice’ in the UK’s security industry. The FT 1000 lists 1,000 companies in Europe that have achieved the highest percentage growth in revenues between 2012 and 2015. 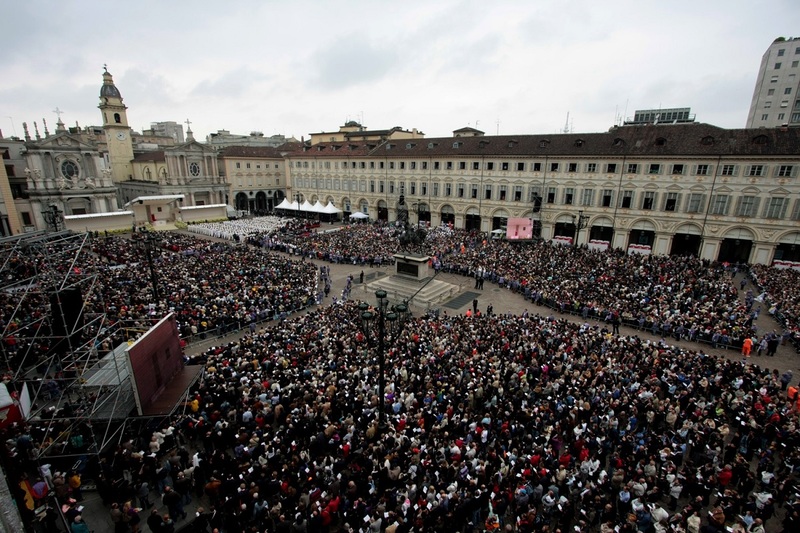 More than two million pilgrims are expected in Turin for the 2015 Exposition of the Holy Shroud, which is taking place in the city’s cathedral from 19 April to 24 June. As was the case in 2010, the Enzo Hruby Foundation is collaborating with Samsung Techwin to protect the relic by dint of employing the latest generation of video surveillance technology. Turin-based Centro Sistemi Antifurto designed and installed the video surveillance system required to monitor the areas dedicated to the Exposition, as well as the route to be taken by visitors and its surrounding areas. Images captured by the Samsung Techwin cameras are being recorded and transmitted in real-time to an operations centre at the police headquarters in Turin, in turn enabling a quick response should any incidents arise. Riello UPS has contributed to the success of the project by supplying the emergency power supply units for the system. Surveillance and security services provided by law enforcement agencies are in place in the Exposition area and supported in their task by the surveillance network made available thanks to the Committee. 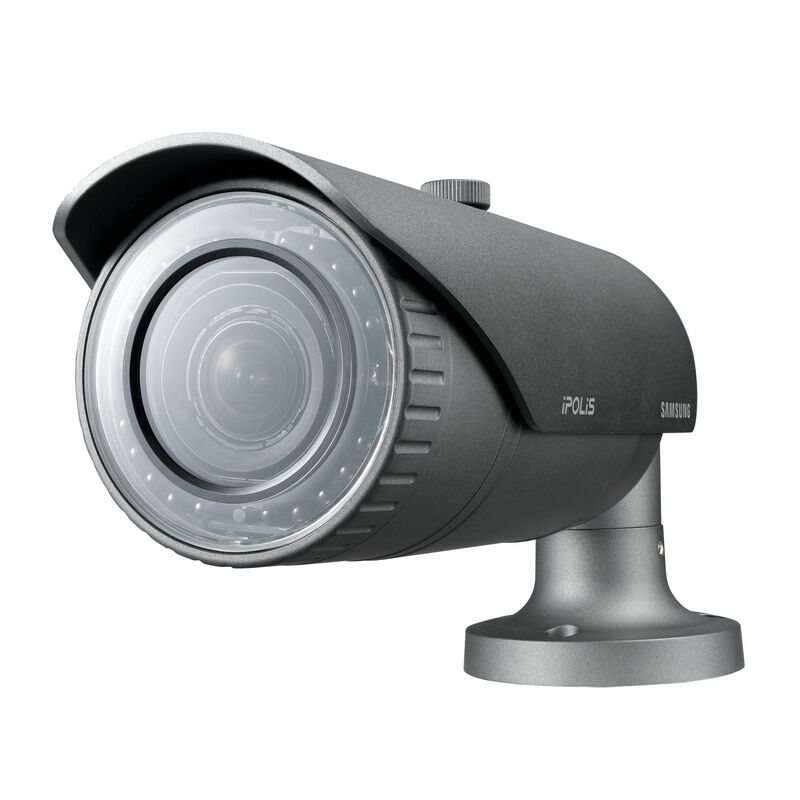 Samsung Techwin’s SNP-5430H 1.3 Megapixel HD weatherproofed PTZ auto-tracking speed domes are among the cameras deployed. The powerful 43x zoom capability of the SNP-5430H is enhanced by an auto-tracking feature which allows operators to monitor the movement of people or vehicles while remaining hands-free to control other cameras. SNO-6084RP 2 Megapixel Full HD Bullet cameras have also been installed. Part of the Samsung Techwin WiseNetIII range, the SNO-6084RP is equipped with a motorised varifocal lens and built-in IR illuminators and readily able to capture high quality images whatever the lighting conditions. For this particular project, the images from the cameras are being recorded onto a Samsung Techwin SRN-1000 NVR. With 24 Tb of on-board video storage capacity, the Linux-based SRN-1000 is more than capable of storing all the images captured by the cameras during the event, as well as providing operators with the ability to quickly search and review video of any incidents. “Samsung Techwin’s technological contribution to this project is part of a wider context that sees our company involved in making the latest innovative security and video surveillance technology generally accessible,” said Fabio Andreoni, Samsung Techwin Europe’s country manager for Italy.